Rheem is a company that specializes in heating, cooling and water heating products. 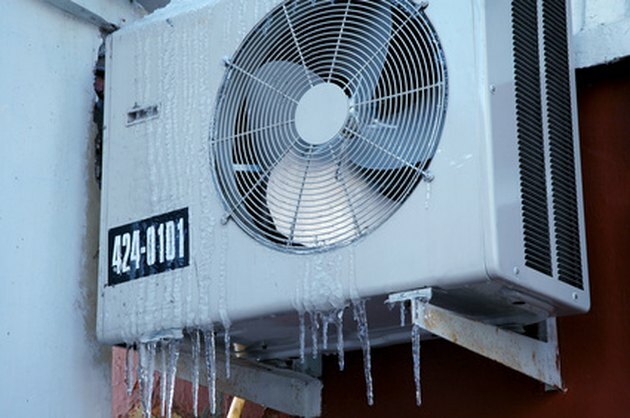 Rheem air conditioning units are used in both residential and commercial buildings. If you are experiencing difficulty with your Rheem unit and the unit is still under warranty, you should contact Rheem before trying to fix the unit yourself so as to not violate the terms of your warranty. Otherwise, you may want to try one of these troubleshooting tips. Turn off the power supply to the air conditioning unit. Remove the protective grill from the top of the unit. Attempt to turn the fan blade manually. If it is difficult to turn, then you will likely have to purchase a new motor. However, a malfunctioning fan blade could also mean there's a problem with the run capacitor. Turn on your air conditioning unit and stand next to it. Listen for a grinding or whirring sound. This is the compressor attempting but failing to start. It should last a few seconds, followed by the sound of the outdoor condenser fan. Replace the compressor or the entire air conditioning unit. Turn on the air conditioning unit. Walk outside and observe what happens. If there is a grinding or whirring sound for a few seconds, there may be a problem with the compressor. If the fan does not come on after the compressor fails to turn on, then you probably have a blown compressor. If so, you will need to purchase a new one. However, it could also be a problem with the capacitor. Pull the cover off the unit's control box. If the run capacitor is swollen or leaking, you will need to replace the capacitor.